It’s not London, but he may learn to like it. As my last book review post was dedicated to Andrew Lane’s Young Sherlock Holmes series, I thought it only fitting that my first after the break would take up with his newest offering. Currently, Mr. Lane is on a schedule of one new book per year, at least in the UK; the US releases are a little slower and more irregular. If you wish to purchase the entire series, or buy the latest books for the young reader in your life, I highly recommend you use Amazon.uk (or a similar site). There is a bump in the price due to the exchange rate, and you will need to allow about 10 days for delivery (in the Midwest, anyway), but I have found the UK site a valuable resource for the impatient. When I pre-ordered the book, some months ago, the cover art was not available. I have to admit, when I opened the box last week, I laughed. The covers for this series (both US and UK) are definitely a study in marketing. Let’s review them, shall we? I am going to assume that these covers are interesting to the pre-teen male demographic (later note: I was wrong–see below). The colors, titles, and the model’s pose and expression suggest some drama, and probably not kissing. * At the same time, however, he greatly resembles a certain floppy-haired pop star getting a lot of young girls’ attention when these stories were published, leading me to suspect that the publisher was not above stooping to the tactic of using “Bieber Fever” as a marketing ploy.† To further entice the young reader, notice that Macmillan has included the fencing silhouette in the lower right hand corner. A smaller version of this figure appears in the UK versions of these books, and while we can deduce from the Canon (and learn from the books themselves) that he is holding a foil, the immediate impression is, I think, Harry Potter-esque–a clever (if inaccurate) play for fans of that series. It’s sadly revealing to note that the name “Sherlock Holmes” does not command attention; it’s tucked down at the bottom of the cover. Apparently Macmillan does not believe that American pre-teens either know about or appreciate the Great Detective. Of course, I covered this in the last review, but as a mother I have grown used to repeating myself, so I will do so again. 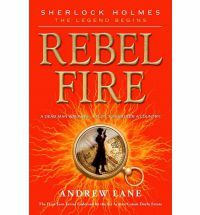 Note that in the US version (the book’s second cover, replacing the Bieber edition), the story title is featured much more prominently than “Sherlock Holmes,” and has been renamed Rebel Fire, which will have more resonance with an American audience. The UK version sticks with the Canonical title Red Leech. Both editions go with Potter-y covers, the long-coated, shagy-haired silhouette resembling some illustrations of that series, the pistol suggesting a wand unless one looks closely, and the watch recalling Hermione Granger’s “time turner.” These covers seem aimed at a slightly younger, unisex audience. As you can see from this sample, the colors are now both darker and more vivid (there are yellow and red-based covers for other stories, but they also have this jewel-tone). Sherlock Holmes has gone from a fairly normal, non-threatening adolescent, or a small silhouette (that figure has completely vanished) to an older, more action-oriented figure with a darker, even dangerous vibe. 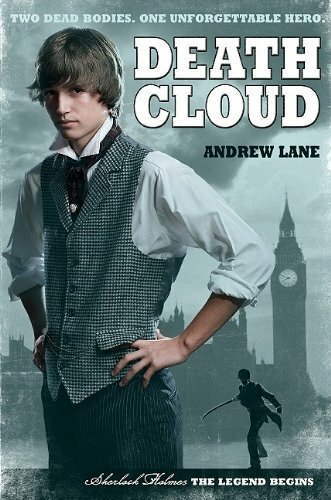 He bears absolutely no resemblance to a younger Cumberbatch, but one suspects that the publisher is trying to tap into the BBC show’s extreme popularity. If you doubt this, note that the “Holmes” has mysteriously gone missing. It will be interesting to see if Macmillan’s US division follows a similar route. Thank you for indulging me. You can all wake up now. Of course, what’s really important about a book isn’t what’s on the covers, but what’s between them. On to the review. Despite his new look, Sherlock Holmes has not become a twenty year-old necromancer-assassin. To start with, he’s only sixteen. When Stone Cold opens, he is at a concert with his brother, Mycroft, and his violin teacher/minder/secret agent/friend, Rufus Stone. ** The artist is violinist Pablo Sarasate, here at the beginning of his career. For those of you interested in writing pastiche, it’s worth noting what Lane does here in dealing with a “Real Historical Personage.” First, he gets the general details right: Sarasate was 26 in 1870 (after March anyway), he played a Stradivarius, and he had already debuted in London. The music selection is accurate as well. But then, Lane essentially makes a bet. At this point, everything that the reader could check quickly–or is likely to retain as fact–is accurate. However, a brief online search of British papers reveals that, as far as can be determined, Sarasate did not perform in London in 1870; The Era reveals that, for at least part of the year, he was, in fact, on an American tour. Lane wants to use Sarasate; he’s mentioned as a musician Holmes admires in the Canon, and he’s a way of showing the reader how Holmes develops his own musical talents. 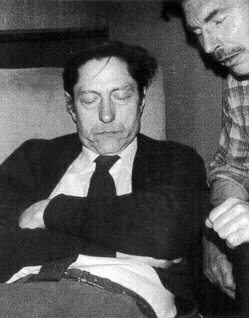 It is, however, often difficult to know what a real person was doing on any given day in history–and, while Lane seems willing to bet that most people are probably not going to fact-check this scene, he also knows that someone might.†† And, quite rightly, he does not wish to present as historical fact something which cannot be verified. So, he plays it safe by being vague. We’re given neither a date nor a venue for the concert, and there’s likely no way to know for sure that the man did not play a single show in London that year. It’s a useful example for the would-be pasticheur: be sure of your facts, and if you must “fudge,” be plausible, and never dishonest, about it. Mycroft doesn’t care about Sarasate at all, however, either as a character, or a musician. He prefers marches, and is quite uncomfortable in the smallish seats. His purpose for bringing Sherlock to the concert is to find some neutral ground on which they can discuss his (Mycroft’s) plans for his (Sherlock’s) future. Over the past few years, his little brother has led a remarkably adventurous life, and has even proven useful to Mycroft on occasion. However, the elder Holmes, always practical, is still determined to fit his brother out for a position in banking or the civil service. 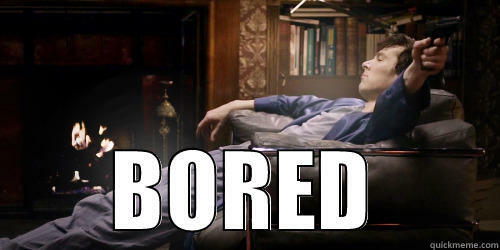 Seriously, Mycroft. For the sake of the British taxpayer and stockholder, let’s rethink this one. The questioning also extends to one of Sherlock’s roommates in Mrs. Mc Crery’s boardinghouse. 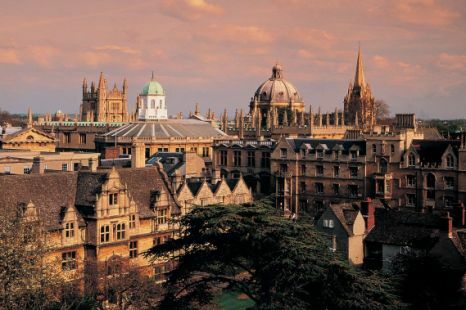 By this time, Sherlock is intrigued and, accompanied by his friend, Matty (who has followed along and docked his boat in Oxford), sets out to discover who is stealing body parts from the Oxford mortuary, and why. 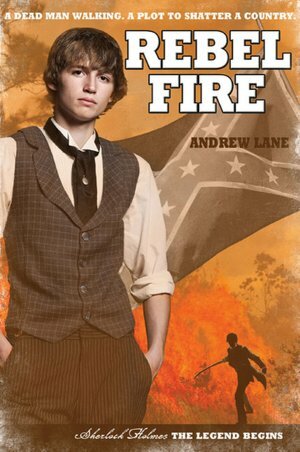 Lane always provides an “Author’s Note,” in which he discusses his sources, aspects of the story, and provides a glimpse of his future plans. 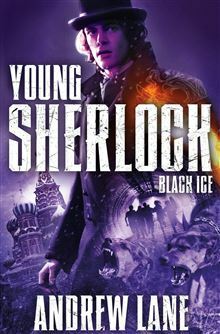 In this book, he writes that, while he is moving Sherlock into an independent adulthood (which is, of course, natural for that age), the story is also “a return to the kind of stripped-down, pure version of the books that I managed to hit in Death Cloud– Sherlock and Matty working together to solve a crime.”**** Although the three major adult characters (besides Mycroft) in the book do offer a little in the way of mentoring, there is no one who takes on the all-encompassing role once held by Amyus Crowe, and honestly, I find the book better for it. It’s always good to see what Sherlock can do on his own–which is, by this time, a good deal. It’s hard to get into specifics without accidentally giving away spoilers, but the plot is juuuuuuust a tad unwieldy. Lane’s stories tend to have an element of the fantastic in them–outsized villains, international plots, that kind of thing–so the reader should expect more of the same. Still, the body snatching caper seemed overly complex and the culprit’s identity and motivations a little difficult to swallow. I found the more outlandish case, involving the Canonical Mortimer Maberley, strangely easier to accept.†††† In the end, however, Lane brings both story lines together in an absolutely electric confrontation. Whether the demands of justice are truly satisfied, however, is left to the reader to decide. For all my quibbles, Stone Cold ultimately holds up, both as a story and as a part of the larger series. The dialogue, as in other stories, tends to sound a bit anachronistic, which, again, I put down to Lane’s desire to take into account the age and possible reading level of his target audience. The Canon references in this book are fairly oblique. Victor Trevor makes his first appearance, but they have little interaction. I found what could be at least one example of “the most winning woman,” there is a reference to the hidden wickedness of the countryside, and several other similar passages. As long as Mortimer Maberley lives to marry, I could find no errors. 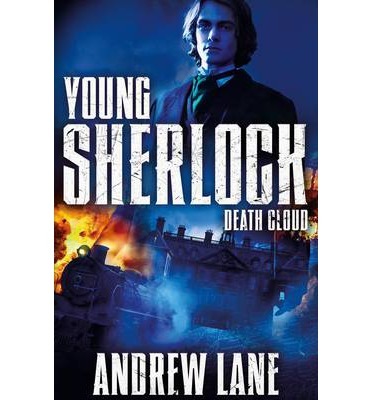 The book reads quickly, holds your interest, and Lane is still doing a fine job of showing us how the young Sherlock Holmes will eventually become the man we meet in the lab at Bart’s. And if you are looking for a way to introduce the 8-12 year olds in your life to your obsession interests, I would recommend it. 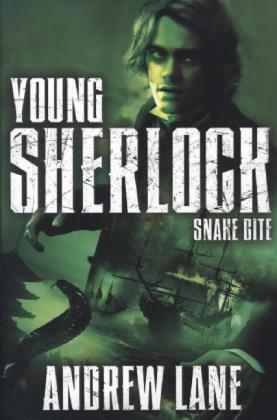 The Young Sherlock Holmes series is available both at all online booksellers and your local brick-and-mortar shop, in both print and ebook format. I need to caution you, however: the US is running about a year behind. Snake Bite is just now coming out in hardcover in the States, while and Stone Cold aren’t even on the radar (except in 3-party UK version sales). Fortunately, you can order these books directly from amazon.co.uk, and only wait about a week to 10 days for shipping. Unfortunately, you cannot buy them from the UK site in e-book form. 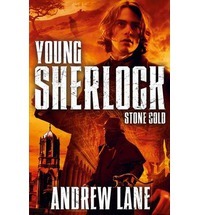 You can learn more about the series, and Mr Lane at: http://www.youngsherlock.com, although his website is not currently up-to-date. For canonicity, Stone Cold earns a 5, as there are no discernible errors. For story, I give it a 4.5, as I believe the plot is not as cohesive as it could be, and as others in the series have been. Please bear in mind that, while the book is aimed at the 8-12 market (or thereabouts) there are some scenes of intense danger which may frighten or disturb sensitive children. There may be a rare instance of mild swearing. * My sons, who are currently in this series’ target audience, are not fans of kissing in books, unless it’s funny or disgusting. †Later editions use a more Harry Potter-y jacket. However, you can still obtain the older cover, leading me to believe that MacMillan has tapped into the obsessive nature of Holmesian collecting. ‡ In a totally unscientific study, I asked my daughter, 12 1/2, and my son, 11, what they thought of each series of covers. My daughter said that she thought the “Bieber” cover meant the books were for girls, because the model was “hot.” My son had no interest in the books at all, because he thought the boy indicated that they were meant for girls. Both kids found the “Potter” covers appealing. And, interestingly, the new cover series appealed to both as well. My daughter again found the model “hot,” and my son thought it looked “cool.” They were both more vocal in their reactions to the most recent covers than they were to the others. So, looks like a win, Macmillan. ††Like some ridiculously pedantic reviewer. 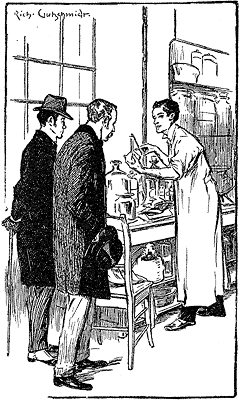 ‡‡ Mrs. Holmes is still terminally ill with consumption, and appears to be nearing the end. Mycroft and Sherlock have a sister, who, judging by the little we know of her, seems to be not quite right in some way. In this book, Lane tells us that she is currently enthralled with an unsuitable beau and will not listen to reason. It is interesting to speculate on whether or not he has plans for either her or for Mr. Holmes (who from earlier books we know has a mental illness), or if they have just become inconvenient and must be dealt with quickly in every story. It’s obvious that Mrs. Holmes won’t survive past 2 more books, tops. †††Dodgson was a photographer in real life, and some of the controversy surrounding him, of which most adult readers will be aware, involves his particular interest in photographing young girls. This was another reason why I was leery of his appearing in this book, but the matter, fortunately, never comes up. ‡‡‡This bothered me a bit, because post-mortem photography was common in the 19th century, both in the US and in Britain, so I am not sure that any interest in taking photos of dead bodies would stand out that much. I cannot tell, from the resources available to me, that Dodgson had a particular interest in post mortem photography, although he did take photos of skeletons; it seems that he preferred taking pictures of the living. 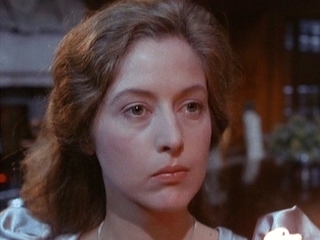 †††† In “The Adventure of the Three Gables,” Holmes’ client, Mrs. Maberley, tells him:”I believe that my late husband, Mortimer Maberley, was one of your early clients,” to which he replies, “I remember your husband well, madam.” As Maberley is single at this time, we must assume he marries later. Given the nature of his case, it is no wonder that Holmes remembers him well.